Martin Maine, Managing Director of Rio-Carb of Alrode, a chromium carbide (CrC) wear-solutions provider, has identified a gap in the mining sector in the form of a lack of local beneficiation in the second-tier supply chain in the South African mining industry. Failure to galvanise foreign direct investment and innovation as a critical contributor to the future growth and development of the local economy has resulted in, for example, a large proportion of local mining equipment containing ‘re-imported’ raw materials. In response, Martin has commissioned academic research into the current state of the South African mining industry to establish how we can utilise our own natural resources to stimulate economic growth from grassroots level. The research will focus specifically on how to develop the current South African mining industry to add imperative value to its mineral reserves. “Developing the industrial capability in these areas will generate employment and accelerate skills development, not only for the local communities themselves, but for the entire supply chain. 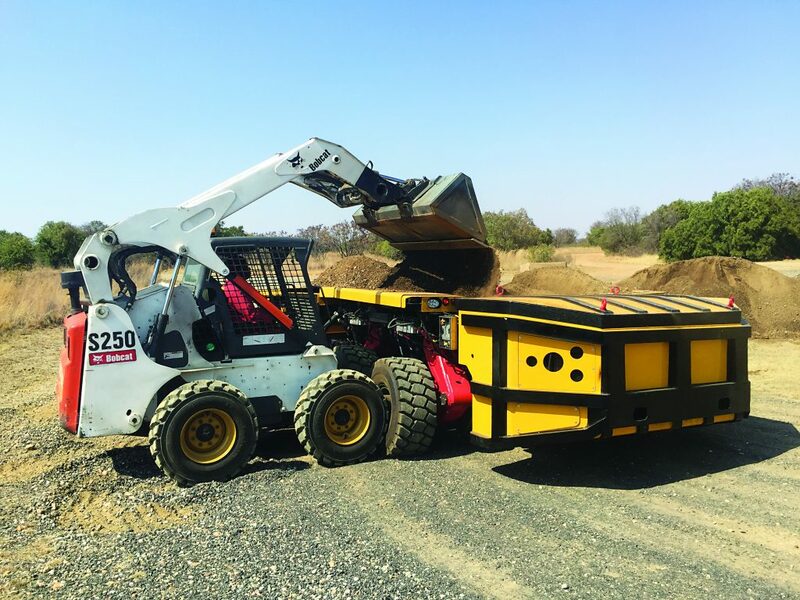 This will also assist mining houses in complying with their local procurement and employment obligations in terms of Broad-Based Black Economic Empowerment (B-BBEE),” he highlights. Whereas most suppliers and OEMs are currently based in the larger metropolitan areas, there is a great need to establish supply, engineering, and sub-contracting companies closer to existing mining operations. A long-time stalwart of the mining industry in South Africa, Martin has extensive experience in physical metallurgy, and has participated in an array of international conferences and seminars. Twice President of the South African Institute of Welding (SAIW), he has been involved with many of South Africa’s flagship infrastructure projects, including Sasol ll and lll, Koeberg, and Gariep Dam. Celebrating its 37th anniversary this year, Rio-Carb is ideally positioned to promote such high-level research, being fully independent, and unaligned with any major corporate interests. “One of our major thrusts is to become more involved with the development of our industry. The market is simply not big enough to sustain future growth. The best means to guarantee its viability is to promote the long-term growth of the South African mining industry itself,” Martin highlights. Entitled ‘Utilising South Africa’s natural resources to catalyse economic transformation from the grassroots’, the academic research will be conducted by Dr Anele Mngadi, in conjunction with prominent international academic institutions, led by Harvard University. Currently a nominee for Chancellor of the University of the Witwatersrand (Wits), Dr. Mngadi has extensive economic and financial management experience in Sub-Saharan Africa, China, the Middle East, Australia, the US, and Switzerland over the past 28 years. She is a renowned turnaround strategist specialising in economic development deriving from various economic sectors. She holds a cocktail of Economic, Commercial, Legal, and Financial Management qualifications, including Masters in Business Administration and Commerce, and Doctorates in both Finance and Public Policy from leading tertiary institutions globally. As part of her research, Dr. Mngadi will be accompanied on a whistle-stop tour of major South African and Namibian mining operations by Rio-Carb General Manager, Sias Suurd, who himself holds a Bachelor of Mechanical Engineering, and Honours in Design Engineering, from the University of Pretoria, and a Master’s in Business Administration from the University of Stellenbosch. Dr. Mngadi will liaise extensively with local stakeholders, especially the Government Department of Mineral Resources, to ensure that the research findings reflect the needs of the South African landscape, and dovetails with the revised Mining Charter. “We perceive a great need in South Africa for this level of research, which will help create an enabling environment for second-tier companies in the mining supply chain,” Sias stresses. “It will also give us a bigger picture of local beneficiation, and how best to promote and nurture this fundamental requirement. Beneficiation of our vast mineral wealth is the best means to grow the economy, eradicate poverty, reduce unemployment, and mitigate social unrest. For Rio-Carb, if we build the country, we build the company,” Sias argues. As an example, he highlights that South African companies were in a position to manufacture their own CrC plate not even ten years ago. Currently, this is mostly imported, albeit manufactured from raw materials exported from South Africa, such as iron, manganese, and chrome. “Local beneficiation will place us in the position of becoming a net exporter of CrC plate to the international market,”he concludes.